A reserve covered situated in the valley of the ancient Aravalies, the sanctuary is spread over 866 Sq KM. Located in Alwar district of Rajasthan it is about 40 KM from the city of Alwar, 100 KM from Jaipur and 200 KM from Delhi. 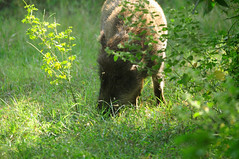 The sanctuary is also home to other hunter of the wild including leopards, golden jackal and fox. There are some villages in the sanctuary which are in the process of being relocated and part of the sanctuary is a temple dedicated to Lord Hanuman which is of great significance to the locals. On Saturday a permit is issued to everyone who wants to visit the temple only. For this reason there are many commercial and private vehicle plying on this route. The reserve part of project tiger effort but has built a notorious reputation in recent years. 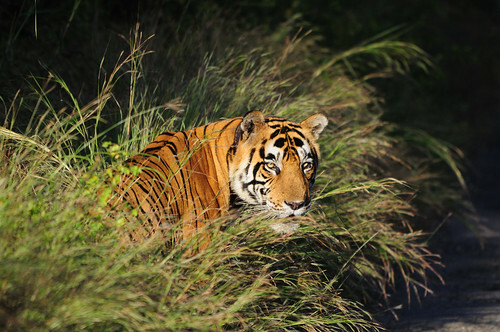 The reserve has seen excessive poaching and all tigers in the reserve were poached. However, the government has now stepped up efforts to rebuild the sanctuary as a home for the tiger. There is enough pray in the forest for the big cat. 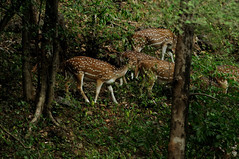 It is very easy to sight Samber deer, Spotted Deer, Nilgai. Currently there are five tigers which have been re-introduced into the sanctuary hence sighting one is very difficult. In reserve there is also a huge water reservoir which attracts many migratory birds where one can spot many species of stork's. The lake is also home to many crocodiles. One can also visit the Sariska Place which was built by Maharaja Jai Singh II, which is also worth a visit. The best time to visit is in the winters. There are two safari timings during the day. One early in the morning and one is in the evening starting from 2PM to about 6PM or sunset depending on time of year. One can either hire jeep or an open canter to do the safari. If you are visiting the reserve and you like to drive then take the route from Bansur via Narayanpur and then to Sariska. The drive is amazing with scenic beauty on each side. This route may be a bit longer and the road just before the reserve is extremely bad but it is worth it.